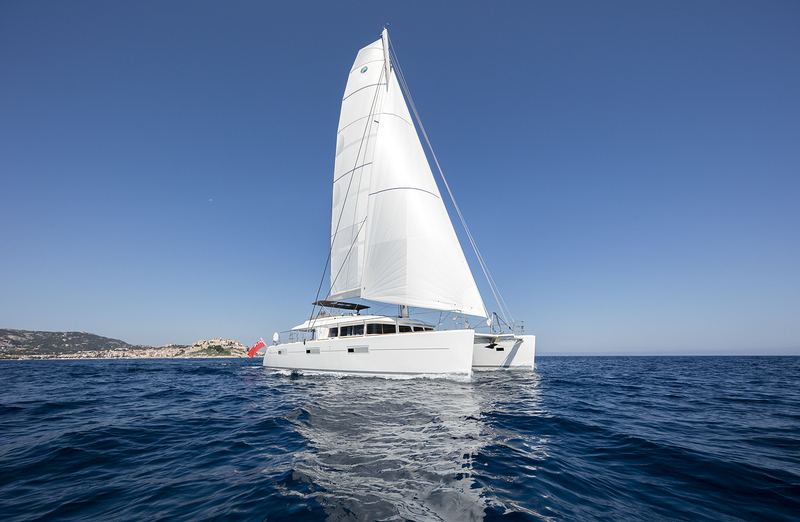 Catamaran TWIN was built by the renowned French shipyard CNB Bordeaux in 2015 and measures 18,9m (62ft) in length. 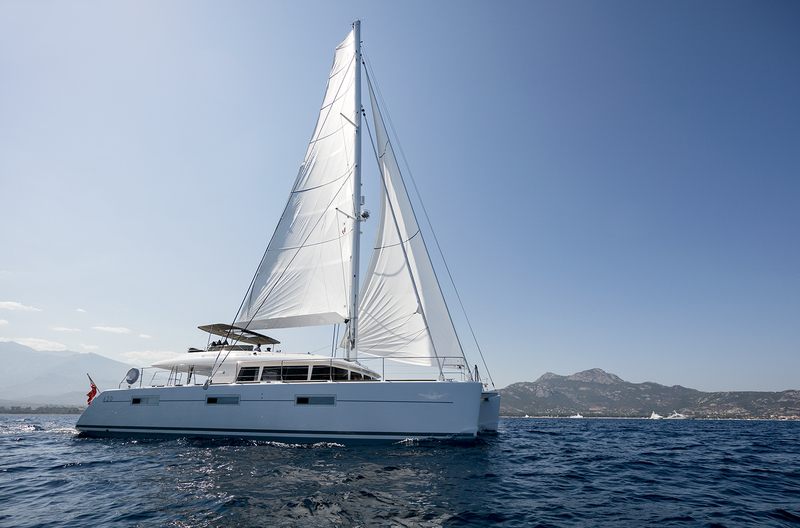 Lagoon sailing yacht TWIN offers luxury crewed yacht charters boasting accommodation for up to 8 guests, in 4 spacious en-suite cabins. 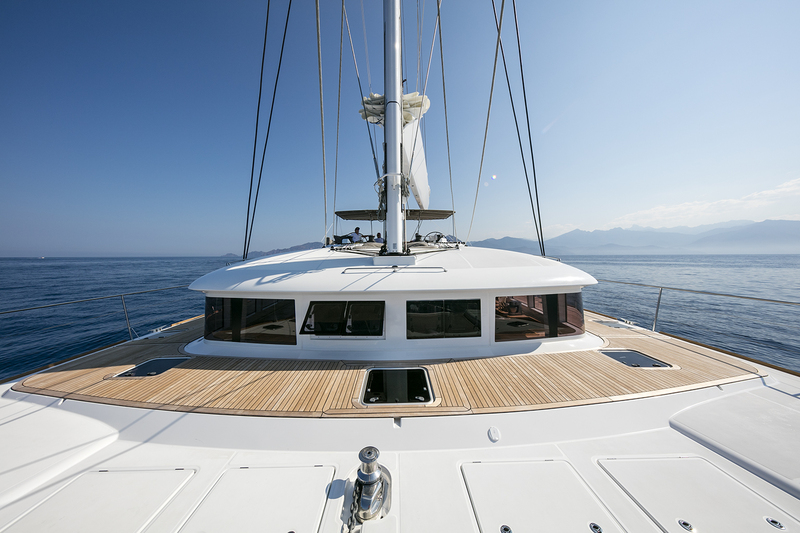 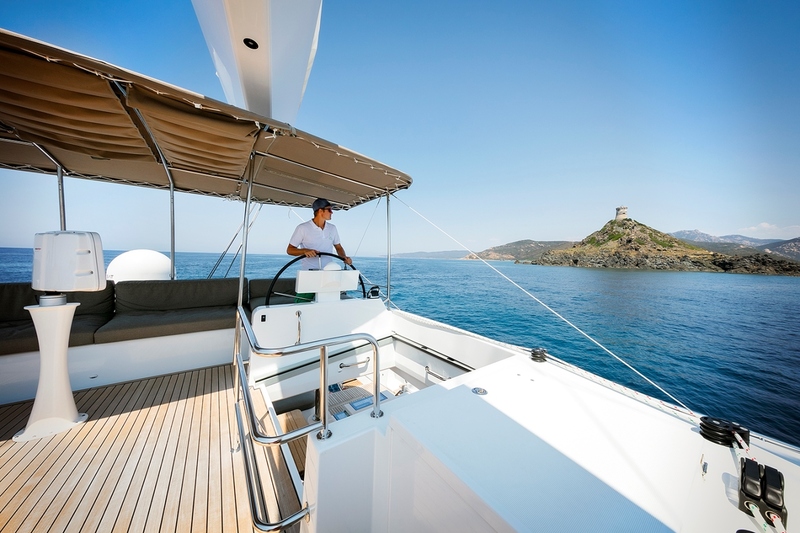 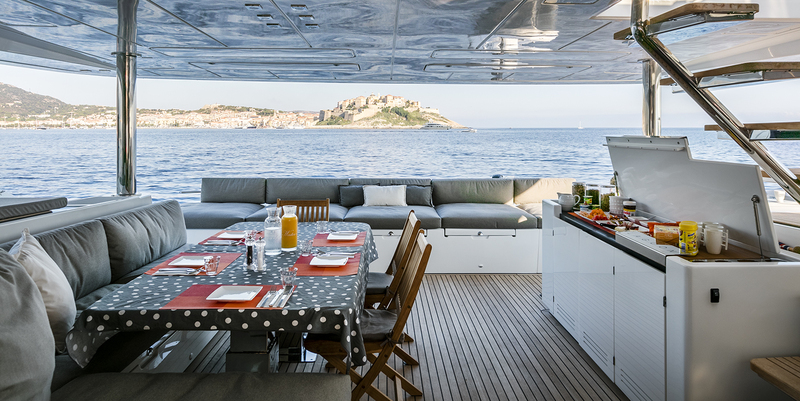 S/Y TWIN features interior styling by Nauta Yacht Design, offering a light airy and contemporary décor. 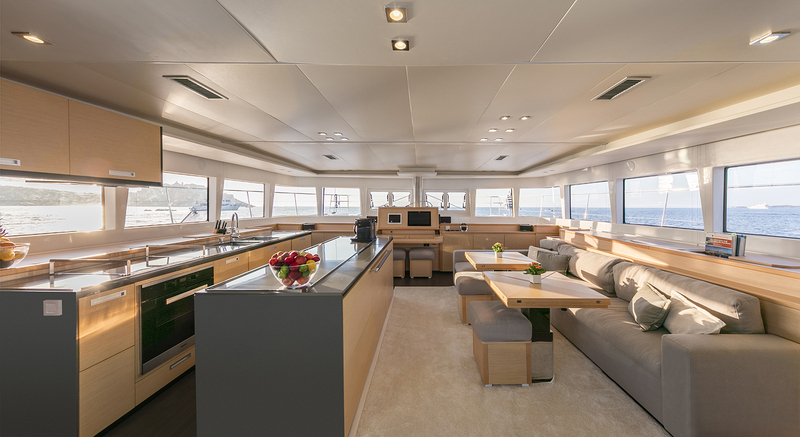 The main salon is raised and surrounded by panoramic windows. 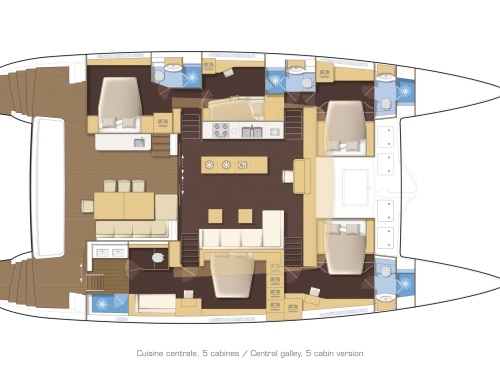 A generous lounge has a full entertainment system, sumptuous seating and formal dining table. 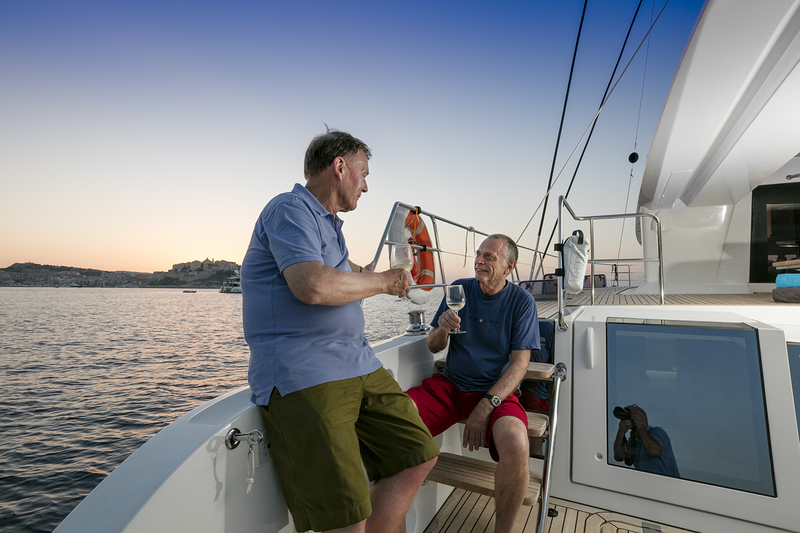 Guest accommodation is on port and starboard, in 4 well-appointed guest cabins. 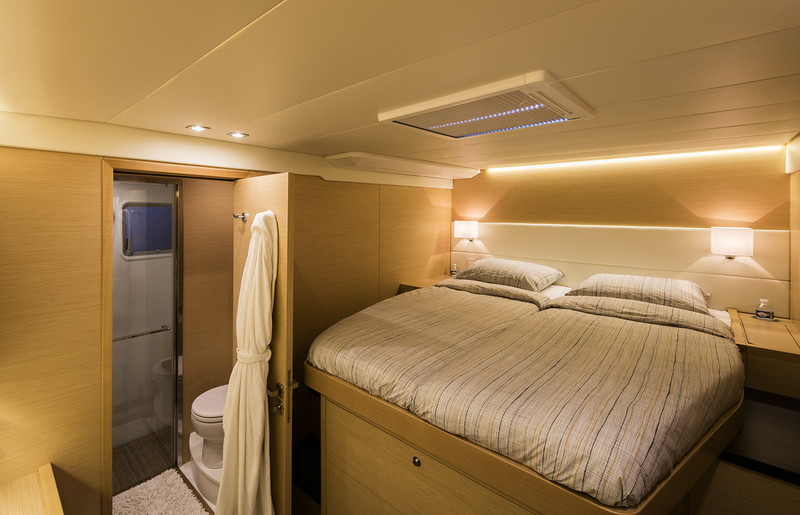 A professional crew of 3 has private quarters, ensuring guest privacy. 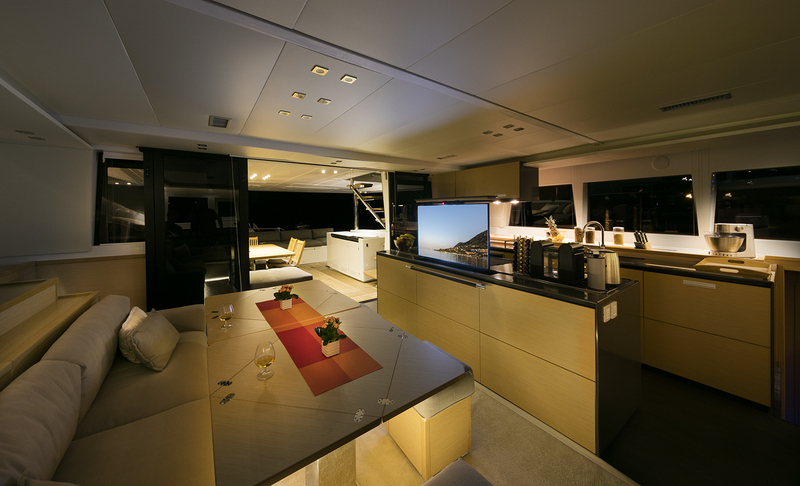 The yacht has ample exterior living. 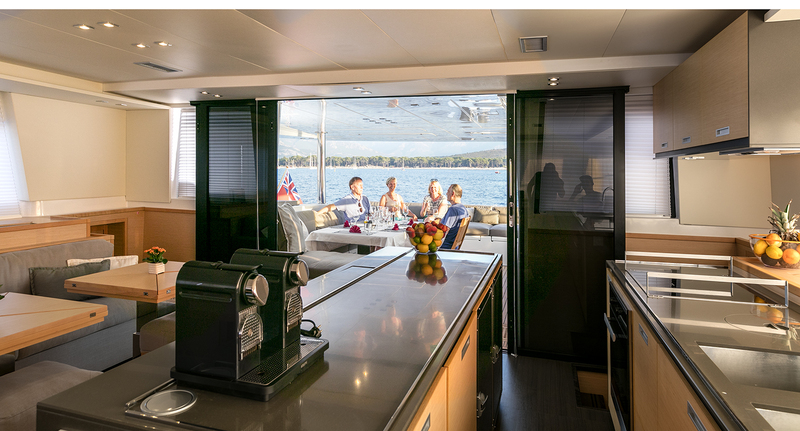 The aft deck is adjacent to the salon through wide sliding doors and offers an alfresco dining option, plenty of seating, wet bar and shade. 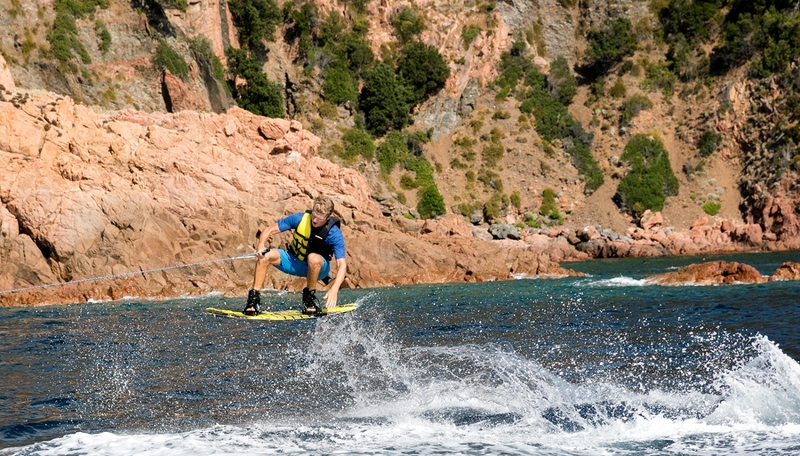 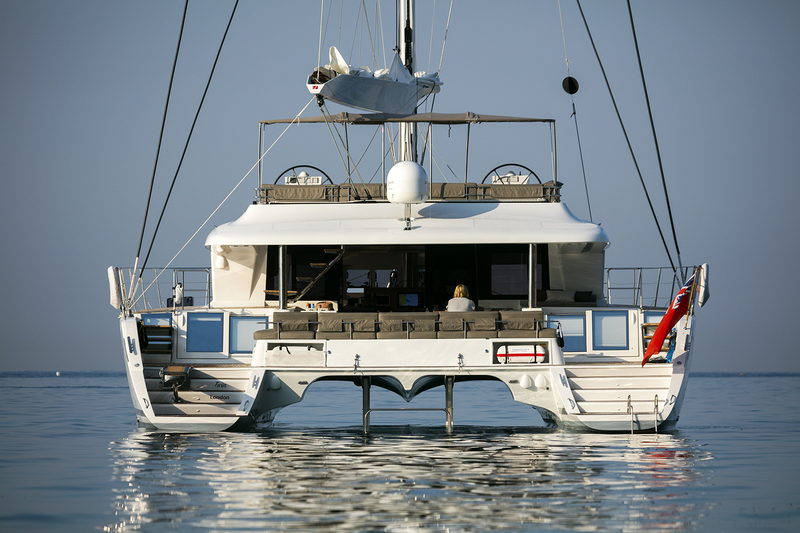 A walk over aft deck provides easy access to the 2 transoms, where guests can make the most of the water toys on offer. 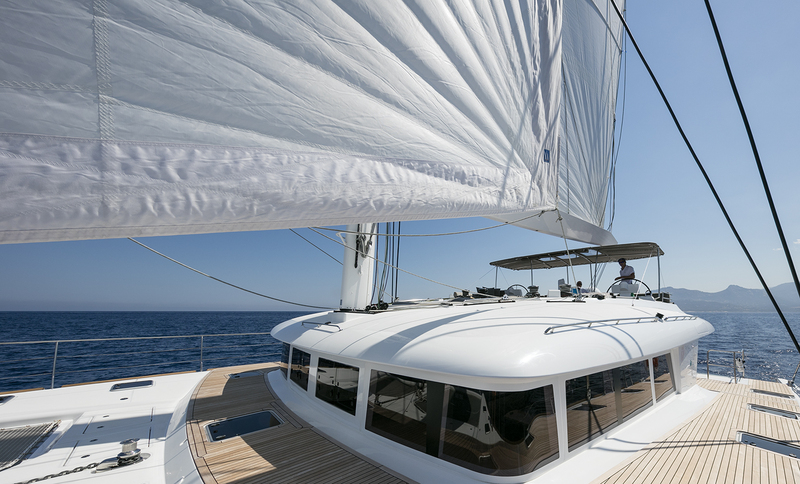 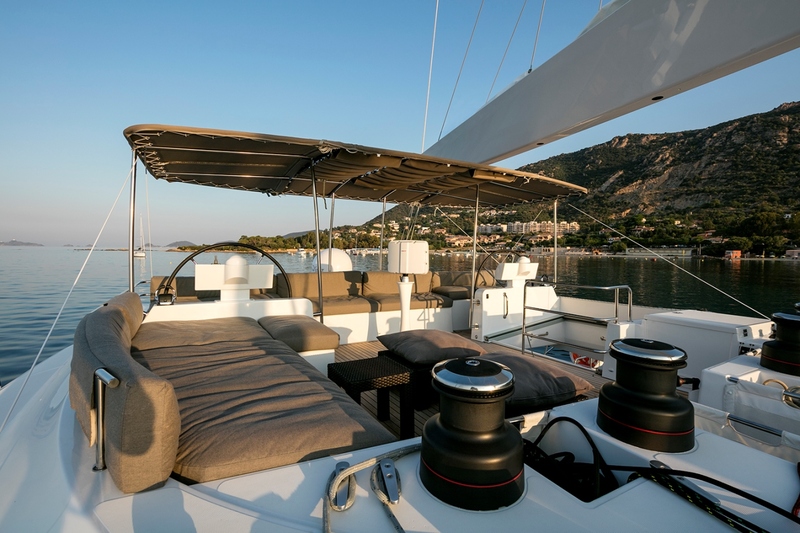 For sunlovers, the foredeck is the perfect spot, boasting 2 large safety trampolines. 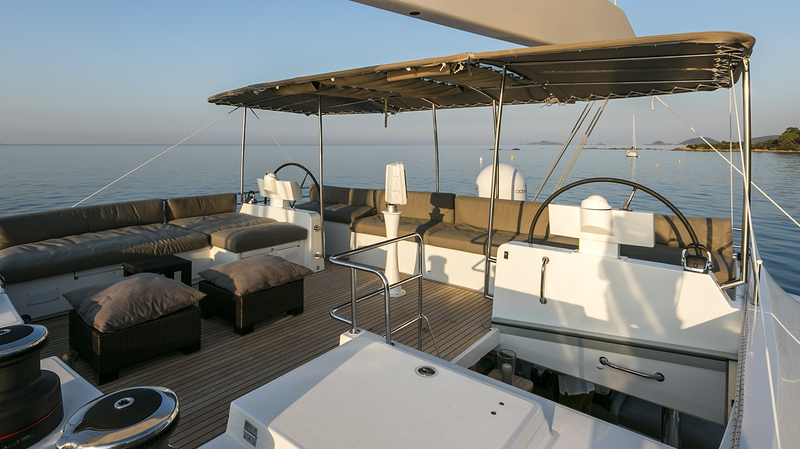 The upper flybridge features 2 large sunpads, comfortable seating, 2 helm stations and optional shade. 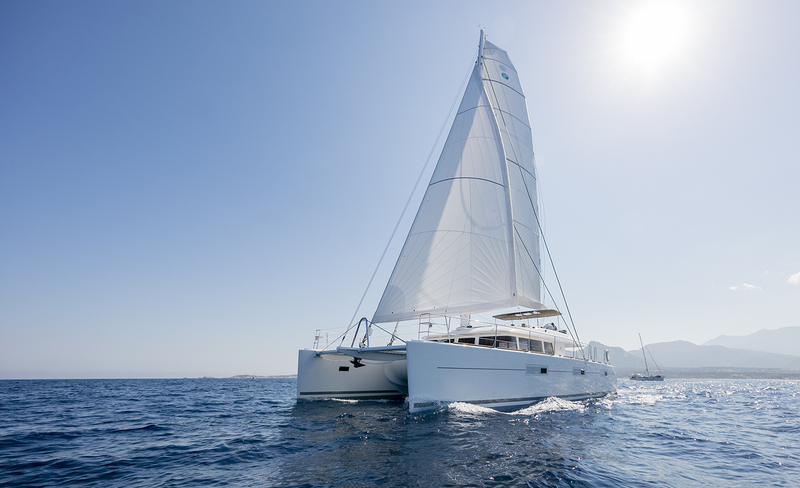 Fitted with 2 x Volvo 150hp engines, the sailing catamaran TWIN cruises at 10 knots and can reach top speeds of 12 knots, under engine power. 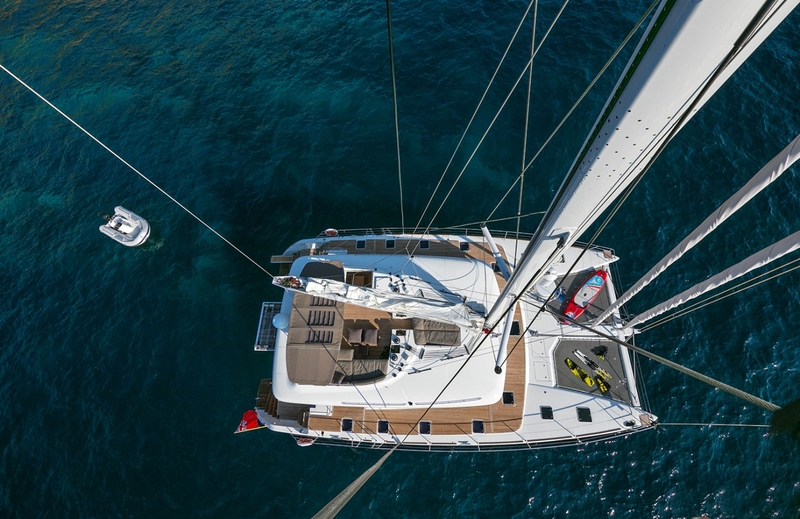 S/Y TWIN is a sloop rigged vessel, thanks to the catamaran design and wide 10,6m (33ft) beam, she boasts stability and optimum space. 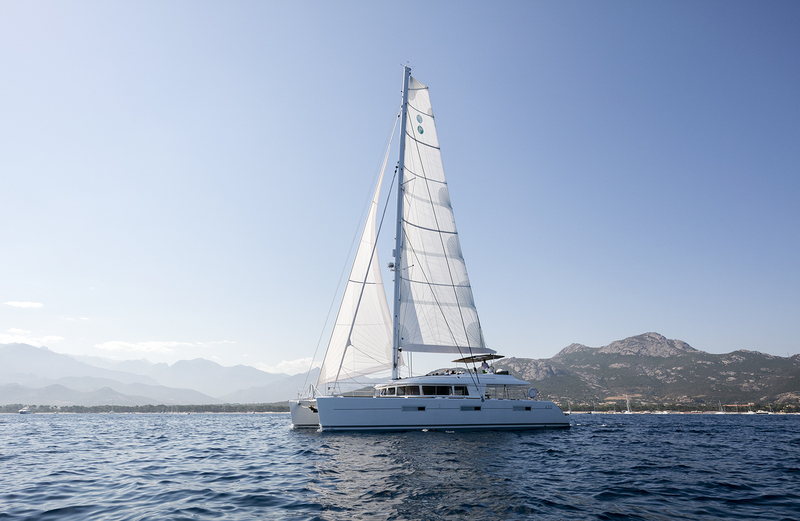 Sailing catamaran TWIN offers deluxe accommodation for up to 8 guests, in 1 master and 3 guest cabins. 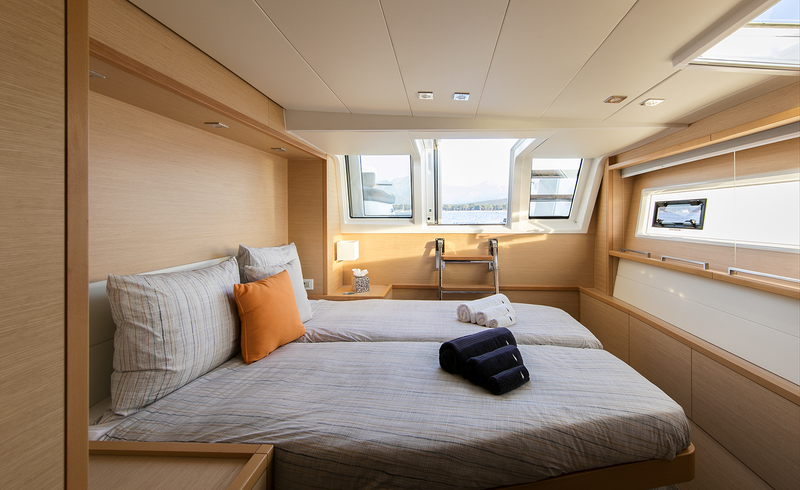 The master stateroom is to starboard and runs from aft of the yacht to just forward of amidships, complete with a private seating area, interior and exterior access, king size bed and large en-suite facilities. 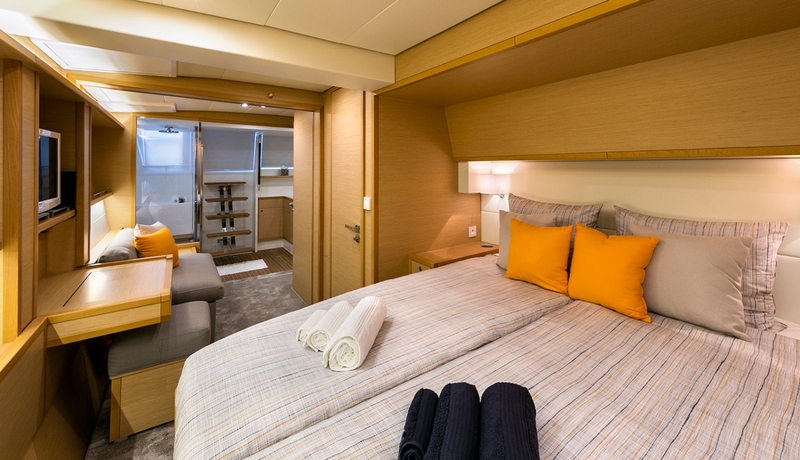 A further 3 cabins are: One cabin port and aft, plus 2 forward cabins on port and starboard, each with queen size beds and en-suite facilities. 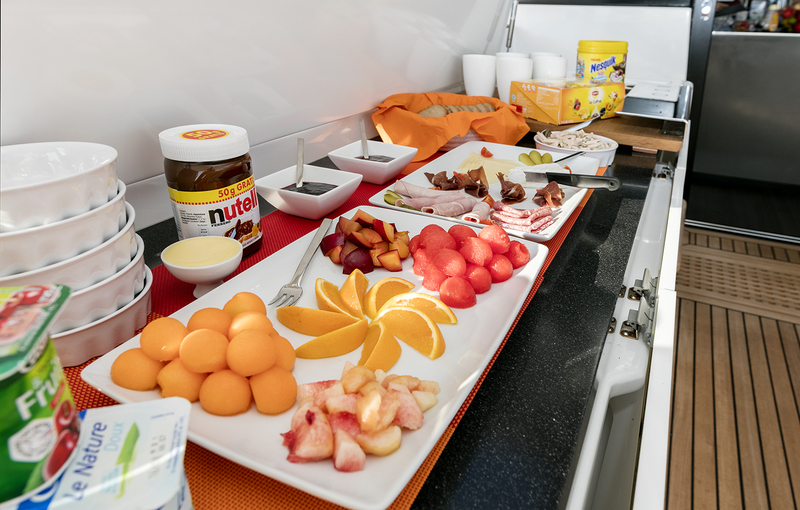 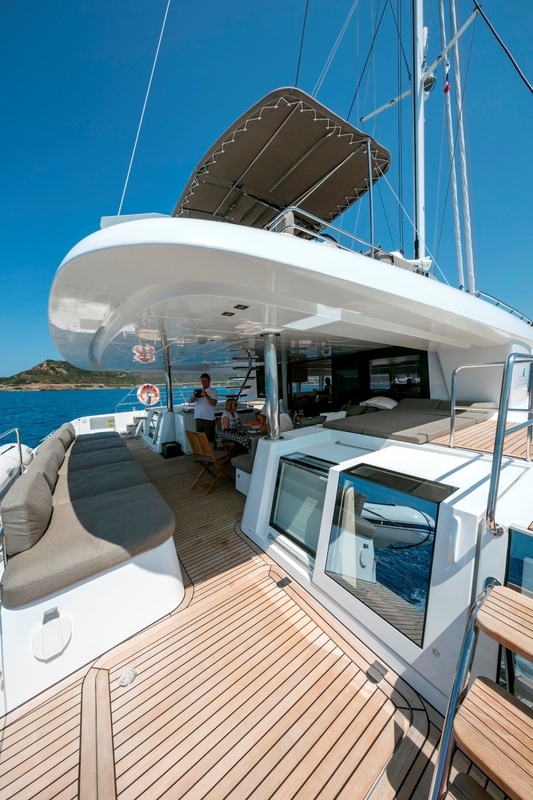 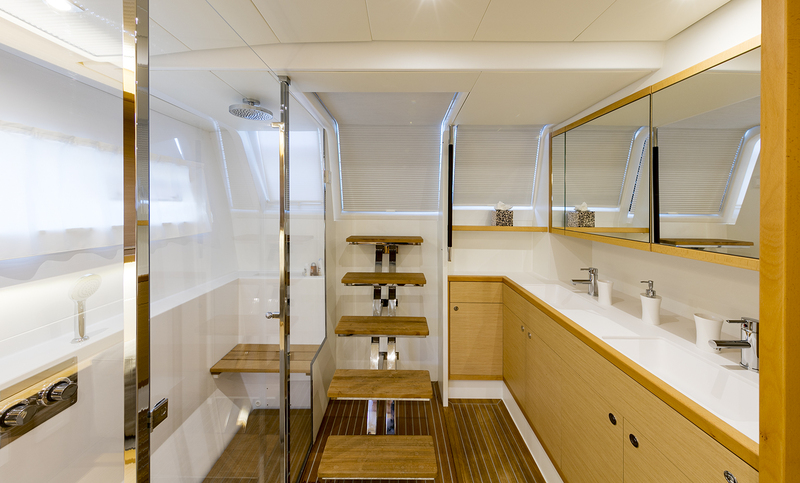 The CNB Bordeaux catamaran TWIN is fully air conditioned throughout her interiors.